This Drukpa Kagyu Tibetan Buddhist Nunnery was founded by the Bhikshuni Tenzin Palmo in 2000, for young women from Tibet and other Himalayan regions like Ladakh, Spiti and Kinnaur. The nuns practice meditation and study Buddhist philosophy, ritual, English and other practical skills. Within just a few years, the number of nuns living and studying has tripled to 95. Construction of the new buildings for housing up to 100 nuns is in its finishing stages. One of the main aims of this nunnery is to initiate a group of particular suitable and dedicated nuns into the Togdenmas tradition. 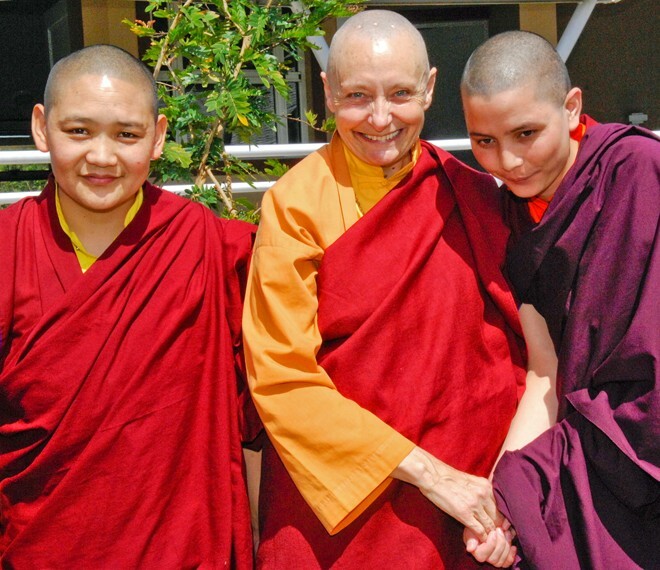 This precious lineage of spiritually realized Yoginis will be of greatest benefit to future female meditation teachers in the Tibetan-Buddhist tradition.